Chris Dusauchoit, a Flemish radio- and television presenter and one of the faces of the Belgian TV show “Dieren in nesten” has, together with two young biologists launched the ambition to define which wild animals that are the five most impressive animals of the old continent. They are convinced: just like Africa has its Big5, we have to give our continent its own Big5! 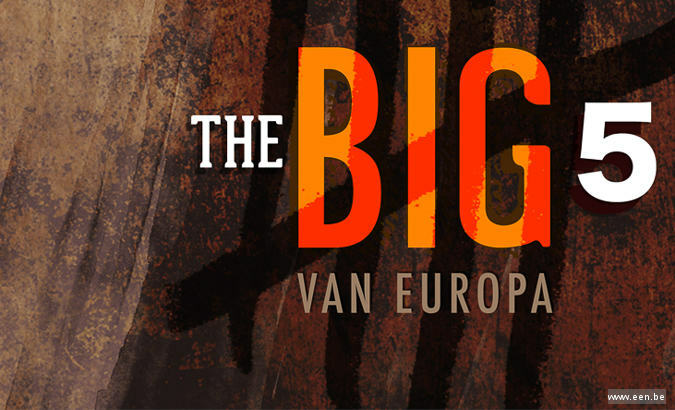 “The Big5 of Europe” is a brand-new programme from the public Belgian television channel Eén, in which Chris Dusauchoit, Frederik Thoelen and Iwan Lewylle will try to define for themselves which wild animals that are the five most impressive animals of our continent. Chris travelled from North to South through Europe, while Frederik and Iwan travelled from the Western to the Eastern part of our continent. In all, the teams visited interesting nature areas in Finland, Germany, Poland, Hungary, Switzerland, the Netherlands, Romania and Spain – with one goal in mind: to determine the five most impressive and symbolic big wild animals. This adventurous mission has had the support also of the President of the European Council, Herman Van Rompuy, who will be officially presented with the teams selected ”The Big 5 of Europe”, at the end of their journey. The search for the Big5 of Europe has been supported by a team of wildlife experts from all over Europe. One of them, Swedish nature photographer Staffan Widstrand, is also the Communication and Marketing Director of Rewilding Europe. Other experts are: John Linnell, an ecologist and senior researcher at the Norwegian Institute for Nature Research and the Italian carnivore expert Luigi Boitani, professor of biology at the University of Rome.